Because regular vet bills are pricey enough. Your regular vet bills are bad enough without unnecessary emergency expenses. There are always exceptions, but with awareness and careful monitoring, you can help prevent your pet from undergoing these costly emergencies. Most dental emergencies can be avoided if caught early and a treatment plan is set. Routine dental care by your veterinarian and good home care is the key. If your pet is prone to dental disease and gingivitis, knowing that your pet needs proper care at home can lessen the chance of emergency tooth extractions, abscesses and extensive, costly dental work. Young male cats are most susceptible to urinary obstructions. Dry diets and stress can be risk factors for developing urinary tract symptoms. 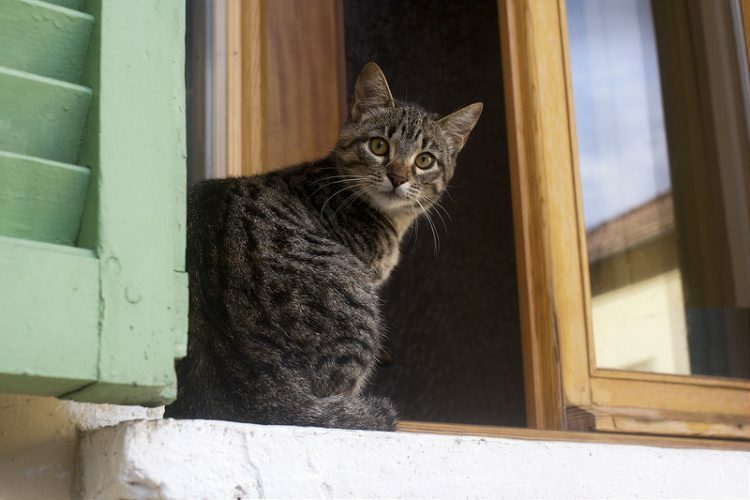 If your cat strains to urinate or is uncomfortable in the box for 1 or 2 days, see your vet as soon as possible to avoid an actual urinary obstruction. Some of these emergencies are unavoidable, but here’s my advice to lessen the risk: Start your young male kitty out on wet food, a “stress free” environment and a sufficient number of clean litter boxes. Remember: The cost of prevention and any care at your regular vet is much less expensive than at emergency hospitals. You can’t watch your dog or cat all the time. So they’re probably going to swallow some stuff they shouldn’t. 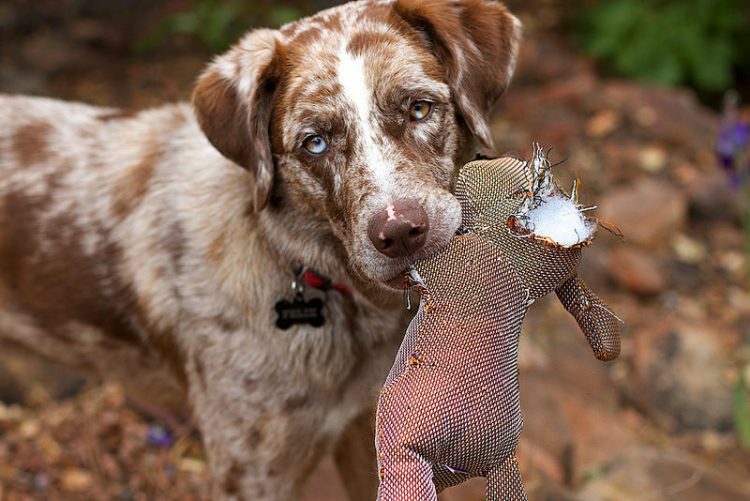 But you can pet-proof your environment to try and avoid costly emergency gastrointestinal surgery to remove a foreign body (toy, shoe, string, etc.). It’s not always easy, but keeping your home clean and free of clutter will decrease your pet’s risk of foreign body ingestion. Story time: I had a cat client who became severely obstructed twice because he’d swallowed his human’s pantyhose. The second time, he almost died. But here’s the kicker: His human knew her cat had a fetish — when the cat was young, Mrs. L’Eggs actually made her own cat toys out of catnip wrapped in pantyhose. A pyometra is a uterus full of pus. But this painful and life-threatening condition doesn’t have to be. How? By having no uterus to fill with pus in the first place! Please spay your dog or cat when your vet recommends it. If you insist on breeding, spay the animal as soon as you are through making her produce puppies or kittens. Mammary tumors occur almost 100% in unspayed dogs, or in those who were spayed later in life. Spay your dog by the time she is 2, which will signficantly decrease her chances of mammary cancer. Yes, cats can fall out of high rises and survive. One comprehensive study followed cats that fell from heights ranging from 2 to 32 stories; 90% of the kitties survived. Cats who survive usually need surgical intervention and intensive care. So make sure to secure your windows with safe screens, no matter where you live. Older or ailing pets also need special consideration. Asthmatic cats may need air conditioning. Dogs with various respiratory conditions, heart disease, collapsing tracheas and laryngeal paralysis are heat intolerant. If they look uncomfortable, they are uncomfortable. Get them in the shade, near the fan or in the A/C. My worst nightmare is when a client comes in with an avoidable emergency situation and cries poverty. Now we have to work on a way to save the pet’s life and figure out the complex financials to boot. This stinks — for everyone. The lesson here? Keep a close eye on your pets and help save them from these very avoidable situations.